We Sell Silent Disco Equipment Too! Did you like what you rented? Maybe you’d like to buy instead of rent? We have brand new headphones and transmitters for sale. These are the same top quality that we rent. 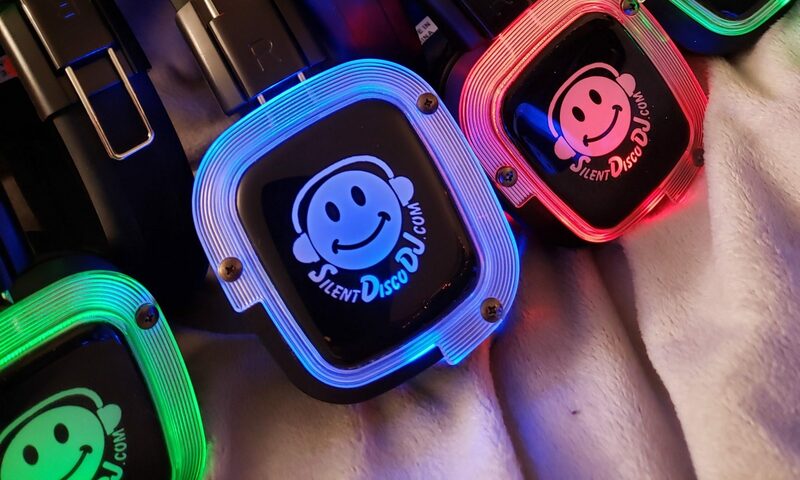 They use the same smiley face logo, but we changed the words “Silent Disco Rental” to “Silent Disco DJ”. Since a charger charges 16 at a time, we like to sell our headphones in multiples of 16.